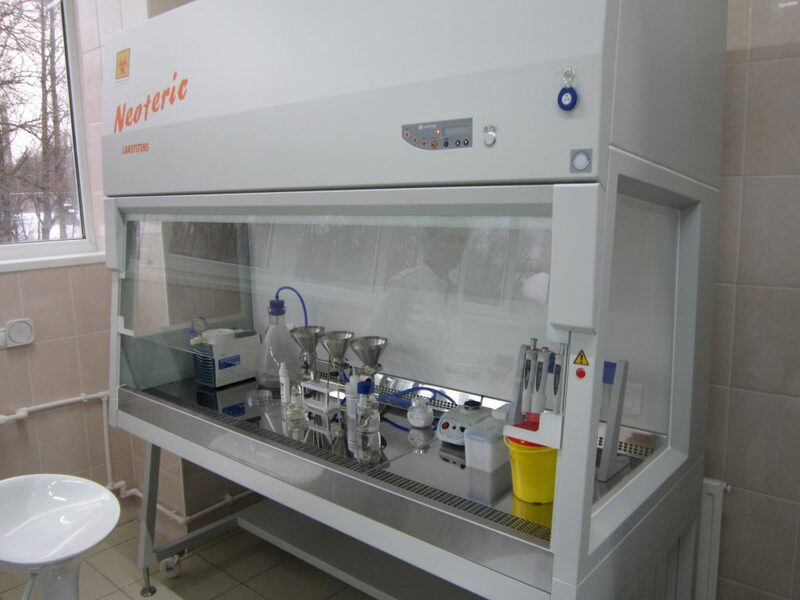 The microbiological laboratory on the basis of “Institute of Preclinical Research” Ltd. was designed and equipped in accordance with the Sanitary and Epidemiological Regulations of SP 1.3.2322-08 “Safety of work with microorganisms of III-IV pathogenicity groups (hazards) and causative agents of parasitic diseases”. License No. 47.01.05.001.Л.000001.04.18 of 20.04.2018 for carrying out activities in the field of the use of pathogens of human and animal infectious diseases (with the exception of the case if the indicated activity is carried out for medical purposes) and genetically engineered organisms III and IV the degree of potential danger in closed systems. Microbiological laboratory works with microorganisms of III-IV pathogenicity groups, including gram-positive and gram-negative bacteria, dermatomycetes, yeast and mold fungi. – Determination of antimicrobial activity in vivo in small laboratory animals with experimental infection with various pathogenic agents. 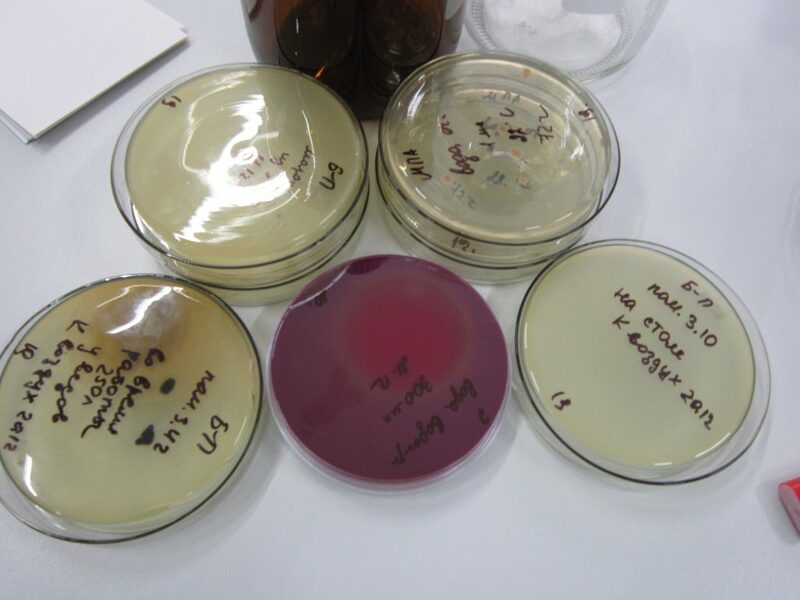 – Determination of antimicrobial activity in vitro on test strains of microorganisms. – Specialized services for nurseries and vivaria of laboratory animals (bacteriological monitoring of animal health and the environment). 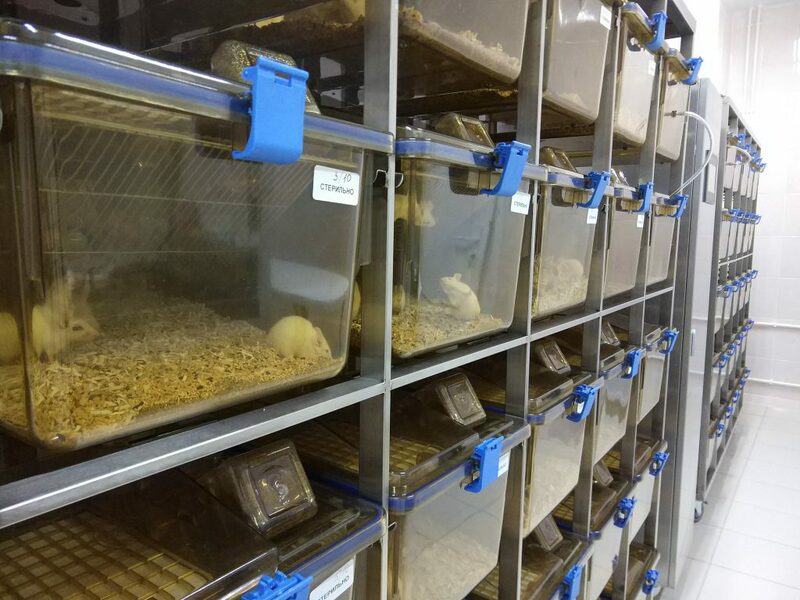 In the laboratory of microbiology, a zone for maintaining and working with small laboratory animals (mice, rats, guinea pigs, gerbils) was designed and equipped in individually ventilated cells that provide isolation of animals from the environment and protection of personnel. Microbiological studies in animals make it possible to evaluate the therapeutic efficacy in the clinical way of using anti-bacterial and antifungal medicines, pro- and prebiotics, adsorbents, immunomodulators. Experimental models: acute generalized infection in small animals; chronic septicopyemia (staphylococcal); pneumonia with generalization of infection; experimental pyelonephritis; Clostridial anaerobic infections, Helicobacter pylori and others. Determination of the antimicrobial activity of the test samples (chemical compounds, etc.) under in vitro conditions. – Evaluation of the activity of reproducible drugs. Bacteriological monitoring of the environment includes monitoring efficiency of disinfection of premises and inventory, bacteriological evaluation of air and water quality. Bacteriological monitoring of the health of laboratory animals is carried out in rinses, scrapings, cadaver, obtained from animals in accordance with international recommendations FELASA..2014. Kryshen KL, Muzhikyan AA, Alyakrinskaya AA, Kovaleva MA, Makarova MN, Makarov VG Intracutaneous injection of Staphylococcus aureus bacteria into the scapophoccular angle of the auricle as a model of acne in laboratory animals // International Veterinary Journal. -2017, No. 1.-C. 84-91.